Litronic delivers innovative and cutting-edge information data security solutions that are compliant with DMS standards. 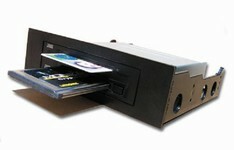 Litronic assisted in the development of the FORTEZZA Cryptologic Library Specification, Card Interface Specification, and Device Driver Specification including the FORTEZZA Cryptologic Library software for over 18 operating systems and platforms, along with device drivers and readers for various hardware interfaces. Litronic's family of "FORTEZZA-ready" products is distinguished by its flexibility and reliability. A vital security component of numerous government and commercial networks, such as DoD's Defense Message System (DMS), Litronic's PCMCIA Readers/Writers enable end-users to effortlessly utilized FORTEZZA-ready solutions. 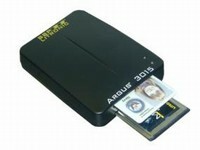 The Argus 2108 CipherServer is a multiple PC Card reader/writer designed to offload cryptographic processing to achieve dramatically greater response times and enhance functionality of database management servers, firewalls, Web servers, Web browsers, and email packages. The Argus 2108 CipherServer can be populated with different cards that support different cipher suites, including FORTEZZA, DES, and RSA.